Lehigh Valley Business Journal, July 5, 2016. A pan-Asian, fast casual restaurant is now open in downtown Allentown in a spot that most recently housed the Burrito Works. Wok Box Fresh Asian Kitchen had a grand opening July 8. Brandon Zimmerman, managing partner of the new franchise restaurant, said he and his partners were attracted to Wok Box because it is very different from other Asian and fast casual restaurants in the area. Not that people can’t get greasier food if they want. There are still fried pot stickers and egg rolls on the menu. “So, it’s not all healthy,” Zimmerman said. He emphasized convenience, saying downtown workers and residents quickly can get a freshly prepared meal. A customer orders at the counter and can watch the food being made with the Wok Box’s open-concept kitchen. He said most orders are completed in under four minutes during down times and in under 10 minutes during lunch and dinner rushes. The food can be eaten in the restaurant, which seats about 65, or taken back to the customer’s home or office. “About 50 percent of our business is takeout,” he said. Hours are 11 a.m.-9 p.m. Sunday through Thursday and 11 a.m.-10 p.m. Fridays and Saturdays. 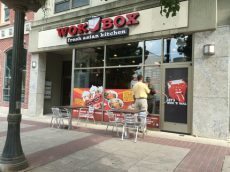 Wok Box is at 818 Hamilton St. in Allentown. 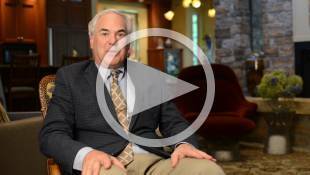 For more information, call 484-350-3160. Blondies Cupcakes, a popular bakery in Catasauqua, is opening a new location in downtown Allentown. It will offer a combination of cupcakes, hearty “Slovak soul food” and 50 specialty hot dog creations. The shop is being opened in a newly refurbished 1,500-square-foot retail shop at 621 Hamilton St., the location of a former check cashing shop. A September opening is expected.